Daylight Saving Oils - Ylang Ylang - Amphora Aromatics Ltd – Supplier of pure essential oils and aromatherapy Products. All this week we’re featuring essential oils that can be very helpful in combatting the winter blues. Today we look at the positive effects that Ylang Ylang can have. that is estimated to affect a quarter of the population in one way or another. A lack of sunlight, less physical activity and a dip in energy levels can all contribute to feelings of depression. The advice is to stay as active as possible and to seek out as much sunlight as you can. Another way to help alleviate these feelings is to use certain essential oils. 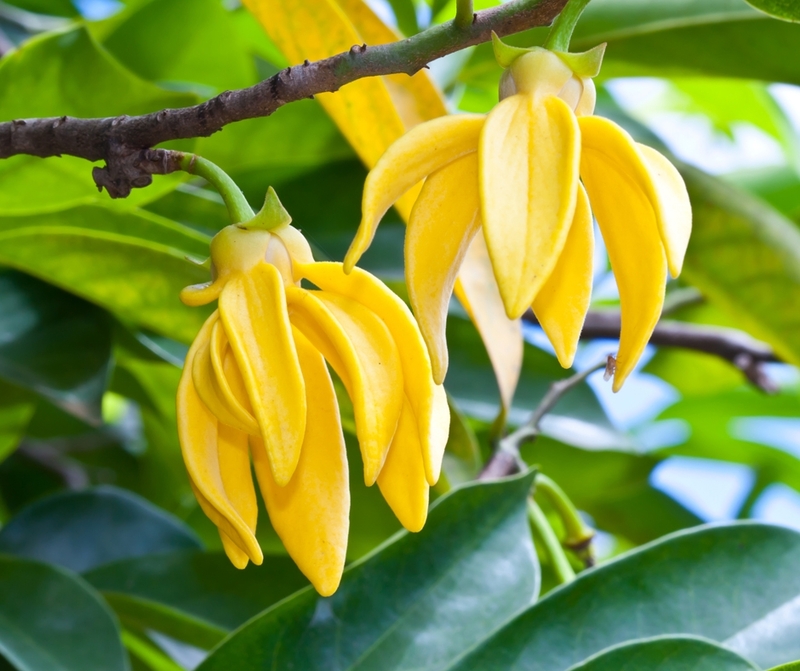 Ylang Ylang is a beautifully sweet, rich & floral oil which has a soothing effect on the nervous system. It’s good in times of distress because it can help slow down both the heart rate and our breathing. It’s one of those oils that you either love or hate, but for those who love it, its aroma can be incredibly warming and soothing to the emotions. Ylang Ylang is a natural anti-depressant and its exotic aroma (it’s native to Madagascar) is sure to help bring some sunshine back into your life during the winter months. Be careful though – too much of a good thing is never advisable and Ylang Ylang can cause headaches if misused. 3 Drops Lime – the zesty aroma will help focus a wondering mind and drive away negative thoughts. 2 Drops Ylang Ylang – Its powerfully calming aroma will help offer comfort for those suffering from winter blues. Add this beautiful combination to a hot bath on a cold evening and allow the wonderful properties to be absorbed through the skin. You can add the oils to a tablespoon of milk to help them disperse in the bath. Alternatively add the blend to your burner or vaporiser or add a drop of each to a hanky and inhale regularly.